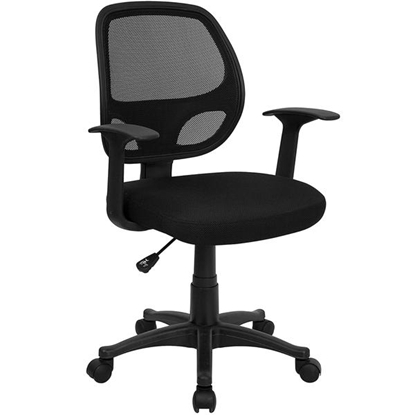 Beautifully upholstered in Black vinyl, the Marquis guest office chair features contour the seat to provide firm lumbar back support. A functional chair at an affordable price. 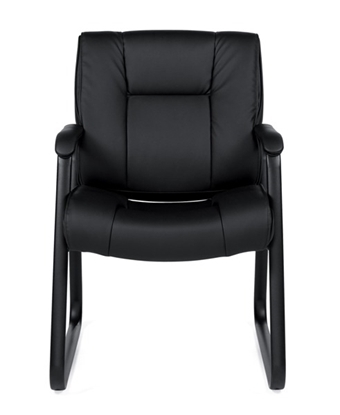 Perfect for a waiting room, conference room or private office. 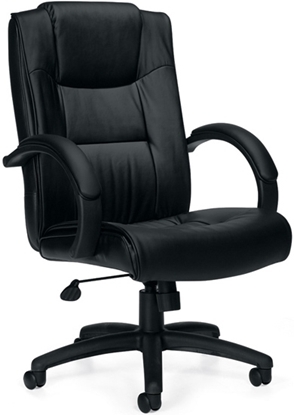 Warranty and free shipping available on all discount office furniture. Marquis International promises to repair or replace any Marquis Collection product or component that is found to be defective in material or workmanship within five (5) years from the date of original purchase. This warranty only applies to the original owner of the new Marquis product. Marquis International will not pay for labor costs to repair or replace warranted products/parts. Products must be returned to Marquis International prepaid, to be repaired at no charge. The customer is responsible for all freight charges. No transportation costs will be reimbursed for this service. This warranty is subject to the provisions below. Upholstery fabric on chairs is warranted for two (2) years from date of purchase. Modifications or attachments to the product that are not approved by Marquis International. Products that were not assembled, installed, used or maintained in accordance with product instructions and warnings. Marquis International does not warranty the color-fastness or matching of colors, grains or textures of covering materials. To the extent allowed by law, Marquis International makes no other warranty, either express or implied, including any of merchantability or fitness for a particular purpose. Marquis International will not be liable for any consequential or incidental damages. 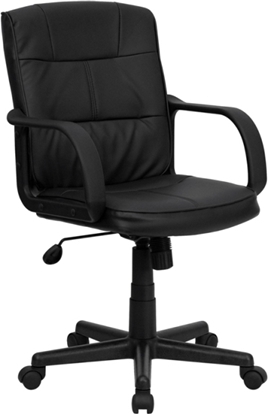 A Leathersoft Upholsted Office Chair at an unbelievably affordable price. Leathersoft is a leather and polyurethane fusion for added Softness and Durability. Features multiple adjustments for comfort and made of Eco-Friendly Materials. A GreenGuard certified guest chair at a great price, the OTG2782 office chair features Black Luxhide upholstery and mock leather trim, attractive sled base design, and upholstered armrests. 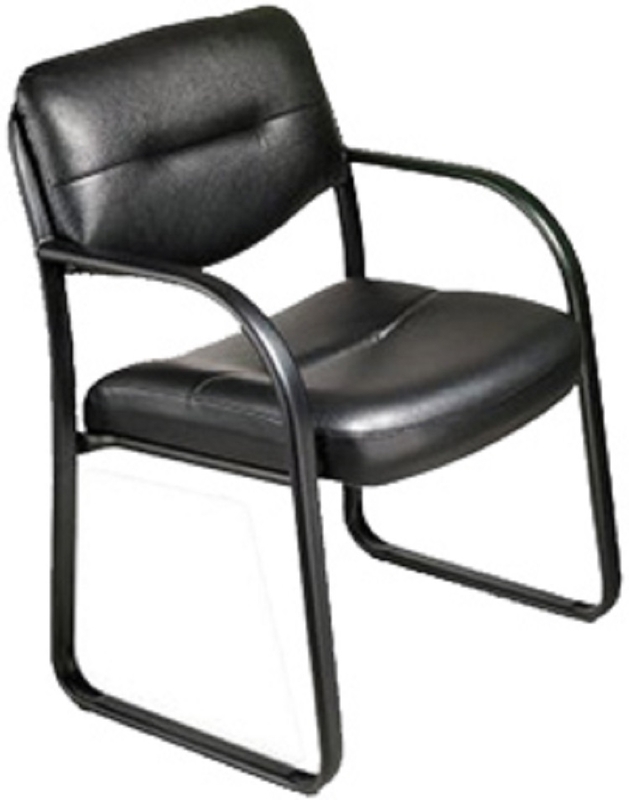 This chair will work well in your reception room or as guest seating in your private office.